SIEM Security QRadar products use embeded cybersecurity AI and machine learning technology for scans, alerts and reports for security automation, identifying external and internal attacks very quickly and accurately. 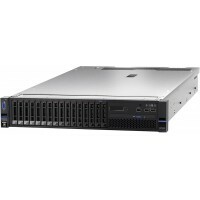 QRadar SIEM Security 4412-Q3B appliance detects and prioritizes cybersecurity threats and internal user anomolies with security AI, user behavior analytics and machine learning technology to prevent or minimize the impact to IT environments. QRadar SIEM Security appliances can be deployed as an All-In-One security information event management appliance, or as a dedicated event log processor, network traffic flow processor, console, risk manager, vulnerability manager, log manager or an event log plus flow processor combination. IBM QRadar pricing is based on the Events Per Second and Network Flows Per Minutes. Each SIEM Security QRadar appliance can be changed into any SOC role at any point in time, and additional SIEM Security QRadar appliances can be added for expansion. 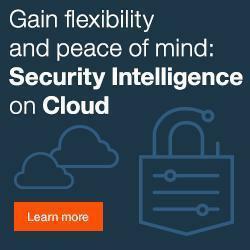 QRadar SIEM Security tools are available for purchase as an Appliance, Software, VMware, SIEM in the Cloud and SIEM MSSP offering. Supported Format of Log Sources: SYSLOG, OpSec/LEA, Universal CEF, Universal LEEF, NetFlow, IPFIX, sFlow, J-Flow, Packeteer, Flowlog, NICs, Napatech and Endace.